Siga Technologies has won US approval for Tpoxx, the first drug to be licensed to treat smallpox which, despite being eradicated in the 1980s, might be still used in a bioattack. The highly contagious, and often-deadly, variola virus responsible for smallpox infection is described by the World Health Organization as “one of the world’s most devastating disease known to humanity” and is mainly spread by direct contact between people. Tpoxx (tecovirimat) has been developed by Siga Technologies in conjunction with the US Department of Health and Human Services’ Biomedical Advanced Research and Development Authority (BARDA). The drug was first tested on animals infected with the viruses closely related to variola virus and was based on measuring survival at the end of the studies. To assess the human safety, Tpoxx was tested on 359 healthy volunteers without a smallpox infection. The most frequent side effects were headache, nausea and abdominal pain. Scott Gottlieb, FDA Commissioner, said: “To address the risk of bioterrorism, Congress has taken steps to enable the development and approval of countermeasures to thwart pathogens that could be employed as weapons. Smallpox symptoms typically began 10 to 14 days after infection and included fever, exhaustion, headache and backache. A rash initially consisting of small, pink bumps progressed to pus-filled sores before finally crusting over and scarring. Complications of smallpox could include encephalitis (inflammation of the brain), corneal ulcerations (an open sore on the clear, front surface of the eye) and blindness. 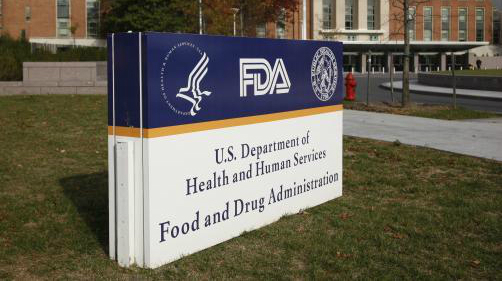 The FDA granted Siga’s application fast track and priority review designations and Tpoxx has also received orphan drug designation, which provides incentives to assist and encourage the development of drugs for rare diseases. The company shares rose by nearly 10% after the FDA announced it had approved Tpoxx. Siga Technologies has already delivered two million treatments in a form of twice-daily capsules that would be taken for two weeks. The US government will stockpile this treatment in case of variola virus would be used as a biological weapon in the future.